My folks got me a Kindle Touch for my birthday this year. If you're not up on your e-readers, it's the smaller (i.e. lighter and easier to carry) version of the Kindle with a completely touch-screen interface. It's got a lower resolution than the latest iPad, but it's higher than the iPad 2. What first struck me is that, overall, graphics look pretty slick on the Touch. When it's idle for an extended period, the 'screen saver' kicks in and displays promos for the latest books, showing often elaborate covers. This, not surprisingly, looks good with other graphics as well. Books that contain diagrams or photos, as well as ones that made entirely of graphics (i.e. comics and children's books). The interface is smooth, just touch on the right half of the screen to page forward and the left half to page backwards. A broader, universal menu can be accessed by tapped the top 1/2 inch or so of the screen. The only physical buttons are the power switch and a "back to home" button. The Kindle reads both books specifically designed for e-readers, purchased through Amazon, or any PDF you care to load. All files are downloaded wirelessly, either through wi-fi or a G3 network. Each account has an email address that you can send files to, so you have a good deal of flexibility in terms of getting files to your Kindle, regardless of where you are. Files begin downloading as soon as your device is within range of a viable network. The screen is crisp and clear. Very easily readable. It's size and weight make it comfortable to hold and carry around. It's actually small enough to slip into my back pocket. Allegedly it's possible to load 3000 books onto the device itself, though I haven't had a chance to test that limit yet. If you've got an e-book, particularly several that you're trying to read, it makes for a very handy and useful unit. Now, despite the clear screen and good resolution, comics seem to be a bit hit or miss from those I've sampled so far. While the graphics themselves display well, the Kindle seems to want to make a full page graphics shrink to fit the size of the screen. And, while you can scale the fonts for regular e-books, the zooming ability on images is limited, making it a bit difficult to read normally formatted comics on the device. 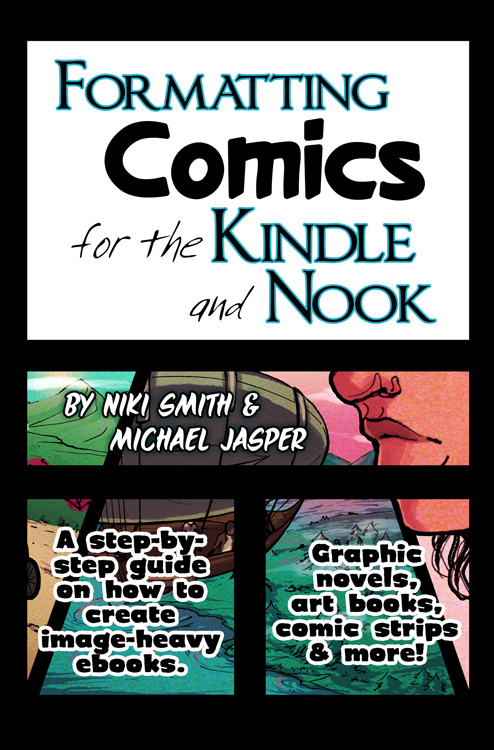 That said, I discovered tonight, while I was writing this, a book called Formatting Comics for the Kindle and Nook: A Step-By-Step Guide to Images and Ebooks. My cursory scan through suggests that pamphlet comics simply don't translate well into the Kindle (or Nook) without some modifications. I'll try to provide a full review of the book once I actually read through it. Overall, it doesn't appear to be an ideal device for reading comics; however, I've only been playing with it for less than a week and simply may not have found any comics that have actually been formatted for the device. Indeed, I'm pretty sure I haven't. But prose books work very well, even those with the occasional photo or illustration. I've already got several comics-related books downloaded, including a biography of Jim Mooney, transcripts from some of the trials surrounding Superman as an intellectual property, and a couple of academic collections of essays on the medium. Hopefully, that means I'll be able to read and review more books here, although I suspect time will not be doing me any favors any time soon!